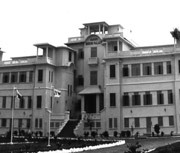 In Circular 503 dated November 15, 1904, Colonial Minister Gatson Doumergue issued guidelines to continue installation of maritime health sta- tions and high-altitude health stations. 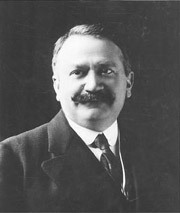 The first exploration mission of the Elephant was completed in April 1917 by Mr. Bornet, Head of the Cadastre Service and Gourgand, Chief of the Forest Service in Cambodia. A FORESTRY POST AT POPOKVIL "A permanent forestry post was installed in June 1917 at the Popokvil and was entrusted to Mr. Vincent, a forest ranger, whose observations and studies on the climate and the cultivation and breeding trials have since given the most conclusive results. "[Armand Rousseau]. Rolous arrived at the plateau. The initial plans were made for the Hill station. Inauguration of 32 km of the Bokor road. 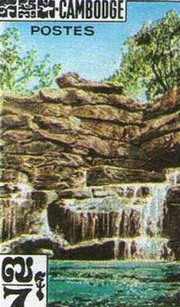 1921-1924: The Hill station was constructed. 1921: Route 39 to the Hill Station was completed. 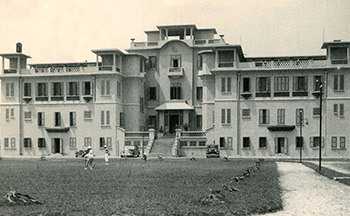 An order of 13 April 1922 of King Sisowath authorizes the foundation of the station, provided "a hotel of twentyfive rooms all having a bathroom and a shower room", the villa of the Resident Superior, a post office, an electric factory, an infirmary, a rest home of the Mission, the Beau-Site hotel (the old bungalow enlarged and arranged) and a farm station. At Km 22, will be installed the Kampot Resident's Cot- tage and a dairy station. The first building appeared on Bokor Mountain. The temporary bungalow has a pavilion, which serves as dining room and five chalets of four rooms. 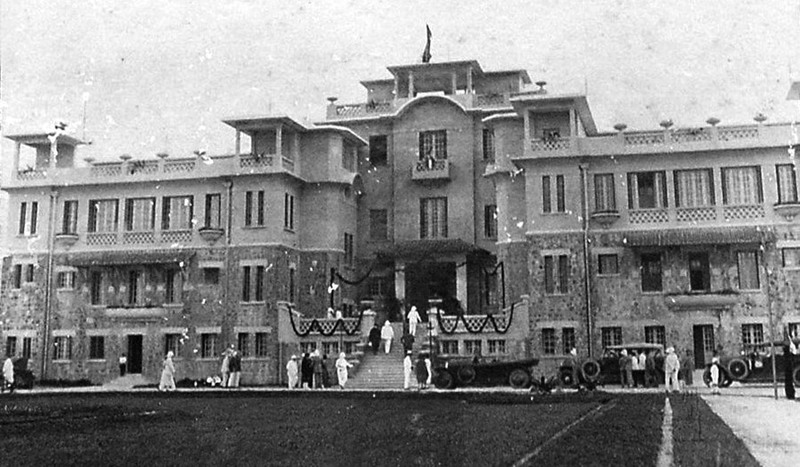 The Bokor Palace was inaugurated. 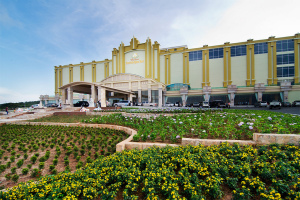 The Bokor Palace Hotel was completed. Construction of a cottage (the "Black Palace", Damnak Sla Khmao) for King Sisowath Monivong at Km 22. The Bokor Palace using into a hospital and first abandonment of the station during the first Indochina War. 50s - 60s: The hill stations Heyday. The 60s were particularly popular with affluent Khmer. On January 2, 1962, King Norodom Sihanouk inaugurates the “City of Bokor”. That a casino was established in the new hotels near the lake, (Hotels Sangkum and Kiri). Some buildings were built at this time. The casino is closed. It was transferred on 1 june 1964 to the seaside resort at Kampot. The access road is prohibited due to inclement weather and landslides. 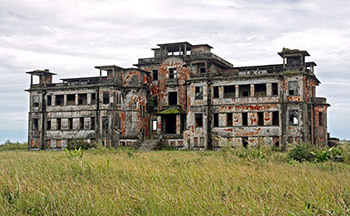 The "Bokor Palace", unoccupied for several months, has seen its interior greatly degraded by humidity. A dozen bungalows are nevertheless developed in Popokvil. Rose of Bokor film which di- rected by King Norodom Siha- nouk was shot at Bokor. 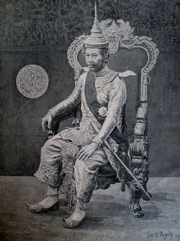 Photo of King Norodom Siha- nouk and Queen Norodom Monineath were the actor and actress in the film. On 8 March 1972, King Norodom Sihanouk was deposed by Lon Nol. The City of Bokor is closed again. 1972: Hill station abandoned as Khmer Rouge takes over the area. The Khmer Rouge seized the plateau and the Bokor road. Destruction of Popokvil bungalows. A French battalion of the Apronuc (United Nations Provisional Authority in Cambodia) occupies the Bokor and hunts the last Khmer Rouge. A telecommunication station is installed. 1993: Bokor established as a National Park. Early – Mid 90s: Logging roads constructed large scale illegal logging is rife in the park. RETURN OF TOURISTS Tourists can access the site by a very bad track. 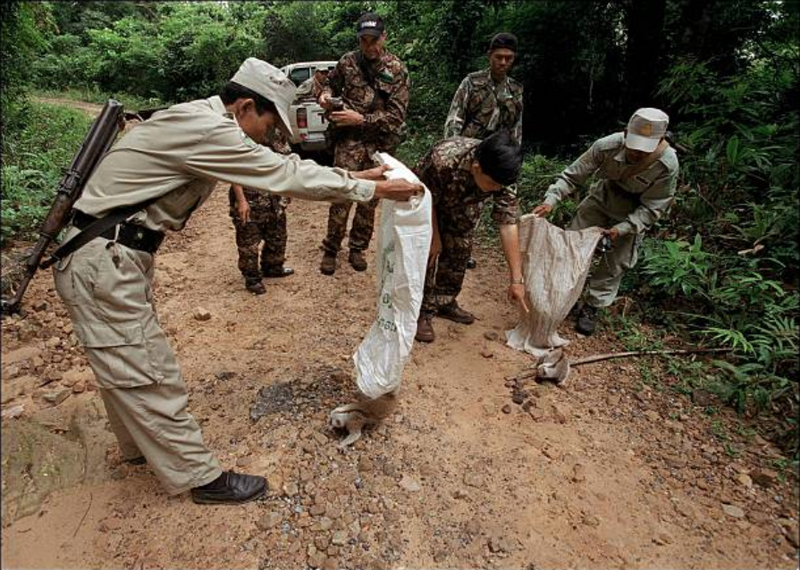 2001: WildAid has conducted a wildlife monitoring and park protection. 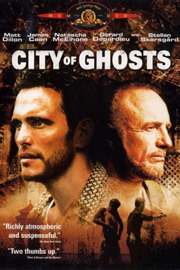 CityofGhosts (Crime,Drama,Thriller) Is Shoot on Bokor Mountain A con man (Matt Dillon) travels to Cambodia (also on the return from law enforcement in the U.S.) to collect his share in an insurance scam, but discovers more than he bargained for. R-Point is a Korean horror film written and directed by Kong Suchang. Most of the movie was shot in Cambodia. 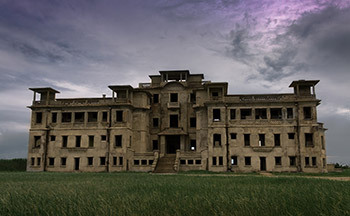 Bokor Hill Station plays a prominent part of the movie plays there very well. Sokha Hotel Co., Ltd Company went to Bokor Mountain to study its potential. Government pledge 99-Year lease agreements of Bokor to Sokha Hotel Co., Ltd Company. The US$ 1 billion development project includes the construction of hotels, casino, golf course, commercial buildings, enter- tainments and residential etc. Sokha Hotel Co., Ltd Company in January 19, 2008 held official con- struction ceremony, Prime Minister Hun Sen presiding over the ceremony, starting with the construction of infrastructure (roads, water, electricity) and building of other buildings one after another. At the same time, Neak Oknha SOK Kong, Chair- man of the Sokimex Investment Group often went to the scene to supervise the construction work. Sokha Hotel Co., Ltd Company in February 18, 2009, held the groundbreaking ceremony, the construction of the world-class hotel on Bokor Mountain, Deputy Prime Minister and Minister of National Assembly– Senate Rela- tions and Inspection Men Sam An, and on behalf of Samdech Akka Moha Sena Padei Techo Hun Sen, prime minister of the Kingdom of Cambodia presided over the ceremony. 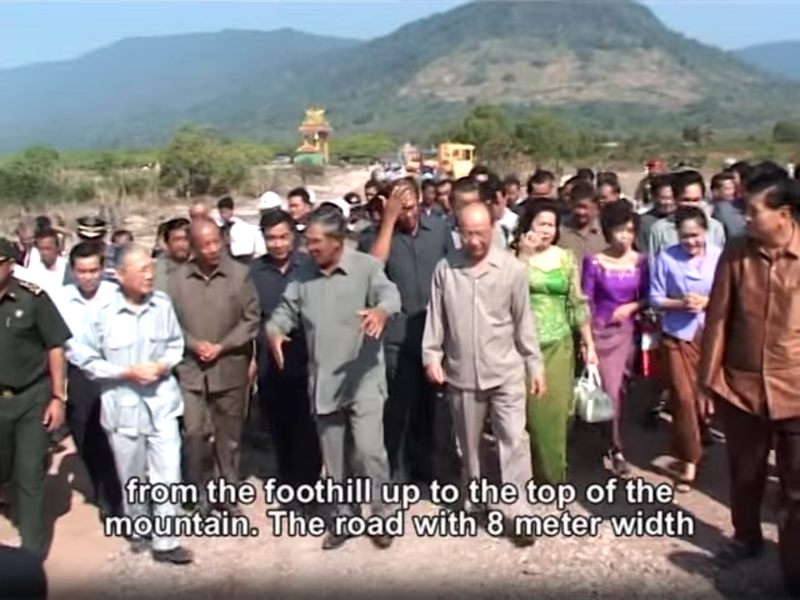 On 27 February 2010, to honor the respect of Lok Yeay Mao, Neak Oknha SOK Kong, Chairman of the Sokimex Investment Group, built the largest outdoor statue measur- ing 29 meters high on Bokor Na- tional Park. The construction of Lok Yeay Mao statue started on 27 February 2010 and completed on 03 May 2012. The whole construction had cost around 210 thousand US dollar. (210,182). Soft opening of Thansur Sokha Hotel, April 2012 with 564 rooms, 4 restaurants outlets, large conference facilities, KTV, club and many other entertainments. Thansur Sokha Hotel was inau- gurated on 03 May 2012 and the ceremony was presided over by Samdech Akka Moha Sena Padei Techo Hun Sen, prime minister of the Kingdom of Cambodia. 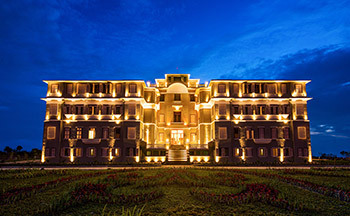 Le Bokor Palace, a luxurious and historical hotel, reopening in quarter one by Sokha Hotel Co., Ltd Company, under Sokimex Investment Group. The Hotel is opened to welcome guests with 36 rooms and 2 restaurants. 2009年2月18日,速卡酒店 有限公司举行奠基仪式,在 卜哥山上兴建国际酒店,由 联络国会、参议院和监察部 部长棉森婉并代表柬埔寨首 相洪森主持仪式。.